Heads of state and government, ministers, heads of UN agencies, top businesspeople and academics, and NGO leaders, will meet in Viet Nam on June 27-28, for the Sixth Global Environment Facility's Assembly. Heads of state and government, ministers, heads of UN agencies, top businesspeople and academics, and NGO leaders, will meet in Viet Nam on June 27-28, for the Sixth Global Environment Facility's (GEF) Assembly. The Assembly, which will be one of the most significant global gatherings of the year on the environment, follows a record US$4.1 billion replenishment by governments of the GEF’s trust fund, and is testament to its growing influence and effectiveness in bringing about sustainable development around the world, and safeguarding the global commons. “We all share one planet in common, and we must all work together to take care of it. We need to act swiftly, and at scale – and that is just what the GEF intends to do,” Ishii said. Viet Nam's Prime Minister, Nguyen Xuan Phuc, who will deliver the Welcome Address at the Opening Ceremony on June 27, said that the Assembly, “is an occasion for nations as well as individuals to join hands and to act to realise our shared aspirations for a 'resilient, sustainable and life-affirming planet." Hilda Heine, President of the Marshall Islands, and David A. Grainger, President of Guyana, will speak at plenary sessions as will Michelle Bachelet, former President of Chile and José Maria Figueres, former President of Costa Rica. Other speakers at the GEF Assembly, which is held every four years, include: Fiame Naomi Mata'afa, Deputy Prime Minister, Samoa; Ibrahim Jibril, Minister of the Environment, Nigeria; Gail Rigobert, Minister of Sustainable Development, St Lucia; Atle Hamar, State Secretary, Ministry of Climate and Environment, Norway; Bambang Brodjonegoro, Minister of Planning, Indonesia; Judy Garber, Principal Deputy Assistant Secretary, Department of State, US; Kare Chawicha Debessa, State Minister of Environment, Forest and Climate Change, Ethiopia; and Thérèse Coffey, Parliamentary Under Secretary of State for the Environment, UK. They will be joined by leaders of UN Agencies and multilateral financial institutions including: Achim Steiner, Administrator, UN Development Programme; Erik Solheim, Executive Director, UN Environment; LI Yong, Director General, UN Industrial Development Organisation; Maimunah Mohd Sharif, Executive Director, UN Habitat; Takehiko Nakao, President, Asian Development Bank; Suma Chakrabarti, President, European Bank for Reconstruction and Development; and Howard Bamsey, Executive Director of the Green Climate Fund. Also, speaking will be Ngozi Okonjo-Iweala, Co-Chair of the Global Commission on the Economy and Climate; Cristiana Paşca Palmer; Executive Secretary, Convention on Biological Diversity; Rolph Payet, Executive Secretary, Basel, Rotterdam and Stockholm Conventions; Rossana Silva-Repetto, Executive Secretary, Minamata Convention on Mercury; and Peter Thomson, UN Special Envoy for the Ocean. Paul Polman, CEO of Unilever and Sunny Verghese, Co-Founder and Group CEO of Olam International are among top business leaders attending. Scientists include Johan Rockström, Executive Director, Stockholm Resilience Centre; and NGO leaders include: Andrew Steer, President and CEO, World Resources Intitute; Shenggen Fan, Director General, International Food Policy Research Institute; Rosa Lemos de Sá, CEO, Funbio and Carter Roberts, President, WWF-US. Many of these speakers, and others, will be holding Facebook Live interviews on the GEF Live digital media stage. Click here for a full list of speakers. Apart from the plenaries there will be roundtable discussions on: Food, Land Use and Restoration; Sustainable Cities; the Blue Economy; Partnerships for Implementing the 2030 Agenda; Science-based Targets for Earth; the Circular Economy; Marine Plastics; Sustainable Landscapes in the Amazon and Congo Basin; Preventing a Toxic Legacy - Transforming the Chemicals Industry; Wildlife; Gender and the Environment; Innovation in Clean Energy; Conservation Finance; and Sustainable Drylands. Click here for more information on the roundtables. The Sixth GEF Assembly will take place at the Furama International Conference Center in Da Nang, Viet Nam. The Assembly brings together environment ministers and other senior officials from all its 183 member countries. The GEF Assembly will be preceded by the 54th GEF Council Meeting on June 24-26 and the 24th Least Developed Countries Fund/Special Climate Change Fund Council Meeting and a Civil Society Forum on June 26. 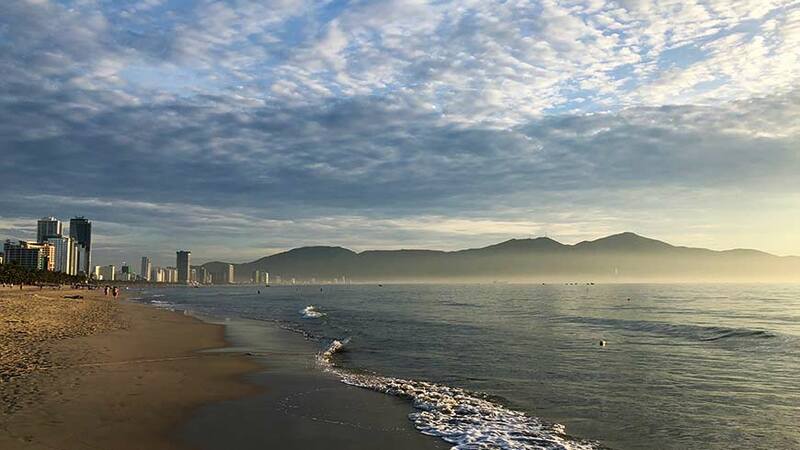 There is an opportunity to visit GEF projects surrounding Da Nang on June 29. The week will also feature numerous side events and exhibitions.